Catalog ref. : Sold out! The demo CD “2K5” was The Very End’s first official sign of of life in 2005. Volker Rummel joined the band during the recordings, so that he only appeared during the guitar duel in This End. The original CD release has only been recorded for promotional use. Some of the original CDs have been sold on a couple of live shows and are not available anymore. 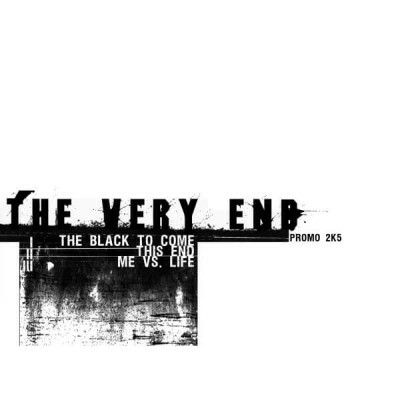 The opening track ‘The Black to Come’ has been rerecorded in the ‘Vs. Life’ recording sessions. It’s going to be released as a bonus track on the Vs. Life vinyl rerelease in 2018. The other two songs never appeared again on an official album release, yet. Recorded at SON Studio in Dortmund/Germany by Sascha Risseler. Mixed at Total Recall Studio, Herten/Germany by Sascha Risseler and René Bogdanski. Mastered by DMS, Marl/Germany.